Working examples of BIM workflow optimization using reality capture techniques. Editor’s note: Until recent years, BIM has been a difficult subject to consider; many AEC practitioners had not yet been involved in a BIM-executed project. But today, globally, BIM advancements have become prevalent for many large-scale infrastructure projects. 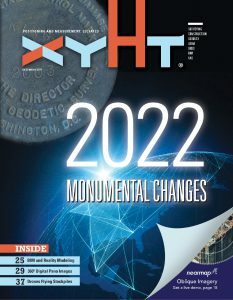 We at xyHt emphasize two aspects of BIM from our research. First is that the success of a BIM implementation depends on the richness of 3D data: design models and reality capture of existing features. Second is that BIM is not practical to implement without sophisticated software that can be integrated throughout the workflow. This examination can be practical only by referencing not only specific real-world examples but also the specific software utilized in each project. We asked Bentley’s Chintana Herrin to provide examples of how reality capture techniques and tools are making BIM implementation possible. Job competition within the construction industry has increased because of restrictive budgets and tighter delivery times. As a result, new processes and technologies, such as unmanned aerial vehicles (UAVs) and building information modeling (BIM) have been adopted by stakeholders and contractors who need to adopt new methodologies to garner more work by keeping down costs and turnaround time through efficiency. Reality modeling technology is one way for engineers, architects, and contractors to stay ahead of their competitors as it facilitates collaboration, maximizes workflows, increases productivity, limits expenses, shortens delivery time, and accurately tracks assets through their lifecycles. This interior 3D model of ABS Steelworks was created using lidar. 3D photogrammetric reconstruction is one reality modeling technology that is having a significant positive impact on the surveying and AEC market. This technology converts ordinary photographs into accurate, digital 3D models. By using a precise model of existing conditions, operations, construction, and design professionals can measure, visualize, and fully comprehend their work and make better informed decisions. Combining traditional modeling and documentation software with 3D photogrammetric reconstruction has, in the past, been labor intensive and susceptible to error. However, reality modeling software such as Bentley’s ContextCapture can create a navigable 3D engineering-ready reality mesh for use with digital 3D models. This reality mesh has photorealistic detail and sharp edges and is geometrically precise, and it can be used within both the modeling and documentation phases of a project. As a result, the software is beneficial in design, construction, and operations, as well as asset inspections. High-resolution models, up to city-scale, can be created with reality modeling software and can be implemented in other GIS and BIM-enabled applications. Reality modeling software also enables interoperability between project teams so that they can create and update reality meshes and access reality modeling information on both computers and mobile devices. Team collaboration is enhanced by the capabilities of reality modeling technologies, bolstering an organization’s BIM workflow. This improved communication and coordination across teams increases productivity, saving time. Additionally, multiple file formats can be produced for use in any GIS or engineering workflow. As a result, stakeholders can access, manage, and oversee a project’s progress at any location, allowing for project documentation improvements to be shared in real-time. One example of a user effectively utilizing reality modeling software to optimize BIM workflows is B&M Engineering SRL, who used Bentley reality modeling applications to renovate the production fumes extraction system of ABS Steelworks in Buttrio, Udine, Italy. A comprehensive survey of the entire 430,000-square-meter steelworks system, including expansions and modifications to the original steelworks, structural systems, and piping, was required to plan the new, modernized design of the fume extraction line, which had to be created in minimal time. The composite survey was complex because it included internal structures, systems, and piping that were not easily accessible along with the external sections. Interoperability between software at all stages of the survey design, from capturing, processing, return, and presentation, was essential. Using a BIM workflow for the survey design saved the company EUR 80,000 ($93,000 USD), which they would have needed to spend on walkways and guardrails in order for assessors to survey the external structural systems. Additionally, the final file format containing all BIM features were exportable to the organization’s software so that it was accessible to all survey design stakeholders. B&M Engineering SRL used different Bentley reality modeling applications for each surveying method, using certain applications to capture dark interiors and different software for exterior surveying, reconstruction, and topographic surveying. Then, 3D reality meshes were uploaded into another form of software to generate BIM materials. The technical office of ABS and B&M Engineering SRL were consistently exchanging information throughout the survey process, sharing partial models until ultimately collaborating on final delivery models that met all specifications. BIM workflows allowed for consistent communication between stakeholders, so the restoration’s meta-design could begin prior to the survey’s final delivery. “The interoperability of Bentley products has made it possible to optimize and significantly reduce the survey and reality modeling time, while also allowing a BIM model to be created that can easily be used by all stakeholders (structural and plant designers). They have decidedly and significantly improved the efficiency of their integrated design, allowing the implementation of the first revamping phase to be reached just three months after delivery of the BIM model,” said Marco Barberini, engineer, B&M Engineering SRL. Managing the reality mesh and point cloud data concurrently enabled BIM objects to be made quickly, and the accuracy of the two surveys could be verified at the same time. As a result, post-processing of the survey was done faster, and the completed product was submitted 45 days after the surveys were returned. ABS Steelworks’ exterior 3D reality mesh of as-built conditions is shown here compared to the design. A 3D reality mesh was created from 2,500 aerial images of University Park, Penn State University’s largest campus, to help the school manage and oversee their asset operations and facilities. More than 100,000 students attend Penn State, which spans more than 23,000 acres. In an effort to limit costs and manage the operation of over 2,000 buildings, the university sought to create a digital model through BIM technology and GIS datasets. The college pursued incorporating asset, financial, space management, maintenance, project, and BIM data into a 3D reality mesh, creating a virtual campus model used as a single interface to run all operations. Penn State’s chemical engineering building BIM was integrated in a reality mesh of the campus. In addition, Bentley software was used as a collaborative project information management and storage interface for the model so that information could be shared among stakeholders in real time. “An immediate benefit of the initiative was the ability to visualize accurate locations of work orders, which has the ability to increase response time and increase performance by combining multiple trips to work orders in close proximity for technicians,” said Craig R. Dubler, facility asset management program manager at Penn State University. The use of reality modeling technology allowed the university to process aerial images and generated a 3D reality mesh in under 48 hours, much faster than through the use of other reality capture technology. Once the reality mesh was fully integrated with other enterprise data, facility managers could use modeling applications like MicroStation to visualize precise locations of work orders, increasing response time and making asset management and maintenance more efficient. Incorporating reality modeling technology, such as those produced by Bentley, into your BIM workflow will save your organization time and money because of its efficiency, accessibility, and easily coordinated capabilities. Teams can collaborate effectively, and design information can be changed in real-time, so productivity is much more efficacious. A comprehensive and fully integrated reality mesh assures optimal solutions and precise, complete design simulations of any project and all asset lifecycles can be continually tracked. Without the implementation of reality modeling software, contractors, engineers, and architects will likely fall behind the curve in proficiency and accuracy when developing project solutions for their clients in the future. Image at top: A reality mesh of Beaver Stadium at Penn State will help with facility asset management going forward. Chintana Herrin is a reality modeling product marketing manager with Bentley Systems, focused on applications in 3D photogrammetry and point clouds.